How long can Angola hold on with low oil prices? Oil was the driving force behind Angola’s economic growth. Now it’s the driving force behind its high inflation, depreciating currency and broader economic crisis. 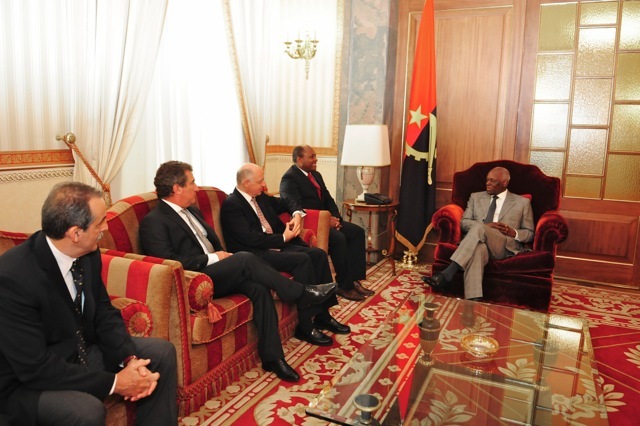 Oil exports have long allowed President Jose Eduardo Dos Santos (right) to consolidate his rule in Angola. What now that oil prices have dropped dramatically? Credit: Cancillería Argentina. After petroleum prices started to fall in the late summer of 2014, oil-exporting countries worldwide have been facing difficulties. Oil-dependent Angola is no exception. The remarkable economic growth that helped promote Angola to upper middle-income status has lost its momentum. And the country’s macroeconomic improvements, applauded by the International Monetary Fund and others alike, are proving inadequate for dealing with the difficulties Angola is now facing. Oil production has a long history in the country. During the country’s 27-year-long civil war, which ended in 2002, the oil sector continued to thrive even as infrastructure and human resources were devastated. Furthermore, after the end of the civil war, new deep-water discoveries helped transform Angola into the second largest petroleum producer on the continent. The role of oil revenues in the reconstruction of Angola’s peacetime economy cannot be understated. $468 billion worth of revenues entered Angolan state coffers from 2002 to 2014. This has helped finance the rebuilding of large parts of the country’s infrastructure, but the rejuvenation of what was once a relatively diversified economy pre-independence has so far failed. 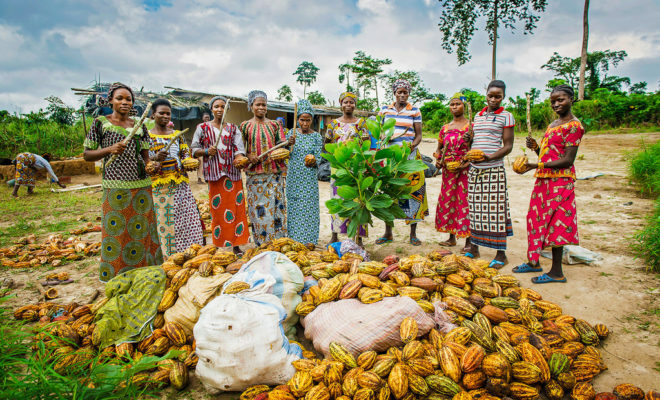 According to the United Nations Development Programme, Angola has the second most concentrated economy in the world in terms of exports, beaten only by Iraq. The extremely skewed composition of the Angolan economy has increasingly become a problem since oil prices started to fall last year. As early as February 2015, Parliament voted to cut the national budget by 25%. In a country where the state is a major employer and financier, such cuts are felt throughout the economy. And when Parliament met this October to approve the budget for 2016, revenue from petroleum exports had declined by over 50% compared to the previous year. At the same time, the falling oil prices have led to rising inflation, linked to Angola’s depreciating currency and the fact the country’s economy relies so heavily on imports. 80% of consumable goods are imported as well as 80% of fuel to meet domestic demand. This is hitting the Angolan people with rising costs of living. Despite efforts by the government to keep inflation below double digits, it is now projected to reach 14% by the end of 2015. In the capital Luanda, price levels rose by 1.4% from just September to October and by almost 13% compared to the same time last year. As a result, many Luandans are struggling to afford the basics and make ends meet. Angola’s policymakers have long been aware of the economy’s exposure to global markets. Indeed, during the country’s last economic downturn following the oil price fall in 2008, advances were made in the way the government manages the country’s mounting petroleum income. Strides in macroeconomic stability were achieved, and at the end of 2012 annual inflation fell to single digits for the first time in over 20 years. Angola built up large reserves of foreign exchanges to buffer against potential volatility in income. And some foreign reserves were transferred into a newly-established sovereign wealth fund with an ambitious mandate to “promote growth, prosperity, social and economic development across Angola”. But in an economy where oil constitutes over 95% of exports and roughly 75% of fiscal revenues, measures aimed at dampening the economy’s exposure to volatile commodity prices can only be part of the answer. Macroeconomic reforms such as those carried out by Angola a few years ago only scratched the surface of the changes needed to end its extreme dependence on global markets. There are many reasons why the kinds of policy reforms necessary to sufficiently alter the Angolan economy’s composition never happened. But one important one is that the initiative for such change would need to come from the very people who have gained the most from the status quo − the ruling elite. Throughout the war years and after, the small clique surrounding Angola’s president of 36 years, Jose Eduardo dos Santos, have profited immensely from their privileged access to economic opportunities in the country, be it by import licenses or through partnerships with foreign companies. To the ruling elite, the structures of the oil dependent economy have proved so lucrative that there has been little sense of urgency in diversifying and developing the productive parts of the economy. In the current low-price environment, the government is faced with a delicate dilemma. On the one hand, policymakers are aware that defending the value of the national currency is getting increasingly expensive − and their ability to do so is decreasing as foreign exchange reserves continue to be used up. At the same time, they will be aware that devaluation would be good for promoting other parts of the economy that have long suffered from a lack of competitiveness; increasing the attractiveness of the non-oil sectors is crucial if Angola wants to end the cycle of booms-and-busts. However, on the other hand, increased competition could jeopardise the entrenched interests of the ruling elite who could stand to lose their oligarchic positions. What is more, if imports become even more expensive, Angola’s growing middle-class will find it increasingly difficult to access the international goods that they have become so accustomed to acquire. Power holders in Luanda are well aware that a decrease in this group’s purchasing power could trigger social and political unrest, as happened in other countries during the Arab Spring. Thus far, the country’s sizeable foreign exchange reserves are being used by the government to defend the value of the Kwanza, the national currency, and to support the country’s import needs in place of any real transformation of the economy. Should the low oil prices continue, it is questionable how long such a model can realistically be maintained. Rebecca Engebretsen is doctoral candidate in Politics at the University of Oxford. Rebecca Engebretsen is a postdoctoral researcher at ETH Zurich, focusing on the political economy of resource rich countries including Angola. Your article on Angola’s difficulties is on the mark. I was involved in turning around an oil services firm saddled with a parasitic partner from the elite for four years (2010-2014). I got my employer out at the end of 2014 and I consider them lucky. thank you for your truthful article. Unfortunately the Angolan policy don’t think so truthfully. The result you will see in some years, when the actual Angolan youth (nearly 50% of the inhabitants) will decide to go the political correct way.